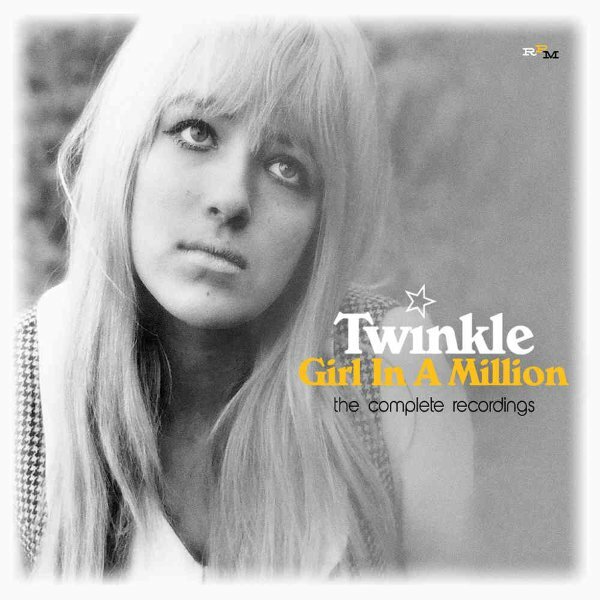 Groovy Brit girl pop from Twinkle – a singer who shone briefly for a stretch in the 60s, which is when most folks know her songs – but who also recorded some more obscure material in the 70s – which gets included here on a nicely expanded set! Twinkle's got a style that's maybe a bit more dreamy than some of her UK contemporaries – less the brash, proud pop of Cilla Black or Petula Clark than the blue-tinged styles of some of the American girl singers of the time – especially some of those who were best at weepy ballads and songs of loss. Yet Twinkle's also much more of an enigma – as she wrote most of the material herself, and sort of sprung on the scene out of nowhere – with enough personal presence that she's not just another girl singer run through a few changes in the studio. The package features a whopping 43 tracks in all – all of her Decca label recordings, plus more for the Instant and President labels, plus a record producer Mike D'Abo, later 70s material, and even some live tracks too – with titles that include "Micky", "Terry", "Take The Trouble", "For Sale", "Smoochie", "Jane", "Joanna", "Bowden House", "I Am A Woman", "The End Of The World", "Sha La La La Lee", "Days", "Caroline", and "The End Of The World". © 1996-2019, Dusty Groove, Inc.